What’s Brewing in Essex County, Vermont? 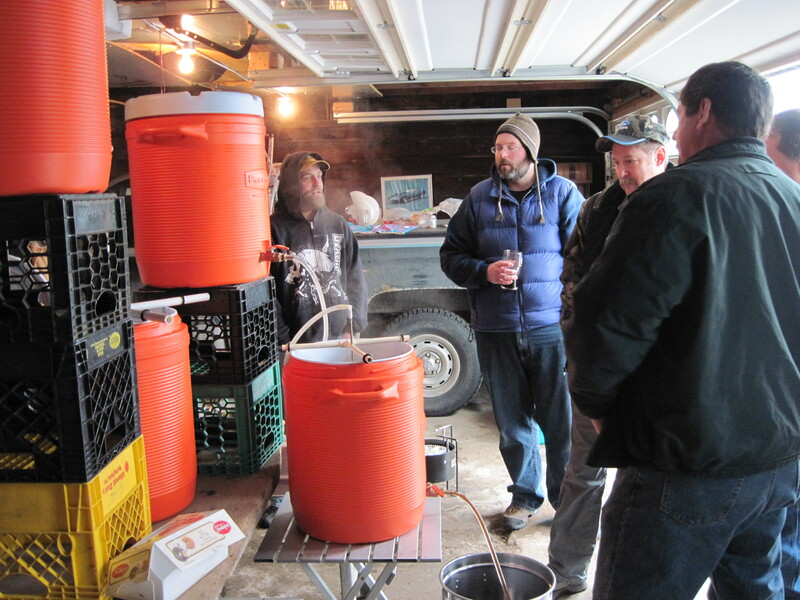 On a recent Sunday morning in late February, I gathered with about a dozen home beer and ale brewers at my friends Mike and LJ Holland’s home. The Hollands live about a mile south of me, on Route 102 in Guildhall, Vermont. For those of you not familiar with the town, Guildhall—population 268—lies on the eastern edge of Essex County and the Northeast Kingdom of Vermont, across the river just north of Lancaster, New Hampshire. It’s a remote spot, without a single restaurant, bar, or even store in town; not a place you’d necessarily expect to find a vibrant brewing community. But vibrant it is; the brewers at Mike’s house that morning came from all over the North Country of Vermont and New Hampshire and they were an enthusiastic and knowledgeable crowd. Mike and Lj themselves moved to Guildhall about 8 years ago, from a rural area of Pennsylvania. Mike rapidly built a reputation for himself as a superb chef and caterer. Before moving to Vermont, he’d worked as chef supervisor and sous chef at the Hilton Wood Cliff Lake in Bergen County, New Jersey, and the Main Course Restaurant at the Main Course Golf Course in Honesdale, Pennsylvania. Here in the North Country, he did a three year stint at the Clamshell Restaurant in Littleton, NH before becoming head chef at Weeks Memorial Hospital in nearby Lancaster. And he and Lj have become known for their informal but high-end local catering service. In an area where fine cuisine can be rare, they’ve staked out a small but growing reputation. (They’re both also involved in municipal politics: Lj has been a Town Auditor for years and was just elected to Guildhall’s Selectboard; Mike is a Guildhall Water Commissioner and member of the Town Office’s Kitchen Committee). 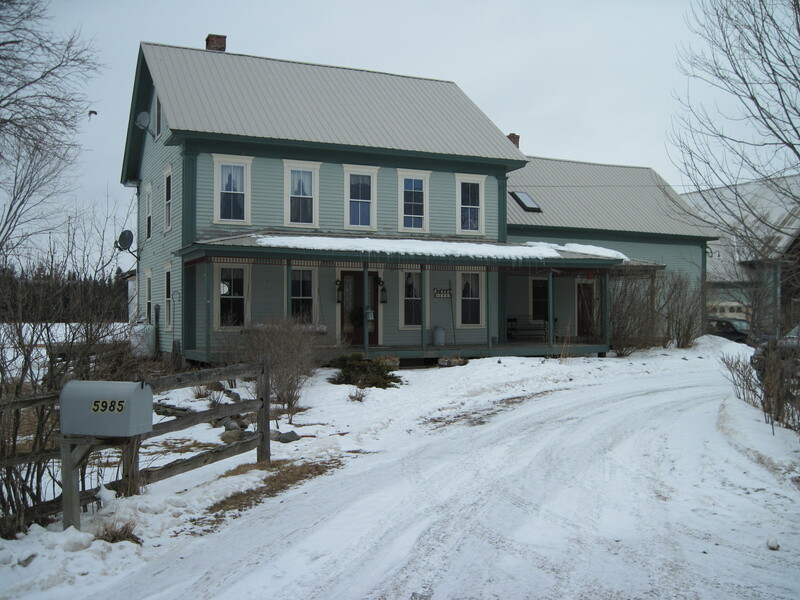 Mike and Lj came to Essex County, Vermont well before I did; by the time I arrived, they had already started experimenting with multiple homesteading projects, such as small animal and vegetable farming. After moving to the area from Boston, I had a lot to learn about gardening in the cooler climes of the Northeast Kingdom’s Zone 3. Mike and Lj were generous with advice about types of compost, the appropriate depth for raised beds, the best squashes and pumpkin varieties for these climes, and portable greenhouse strategies. The Hollands’ garden to this day is an impressive and inspiring one, and if that weren’t enough, they also began keeping chickens, pigs and sheep. Step by step, this couple have expanded their homestead and developed some serious skills. 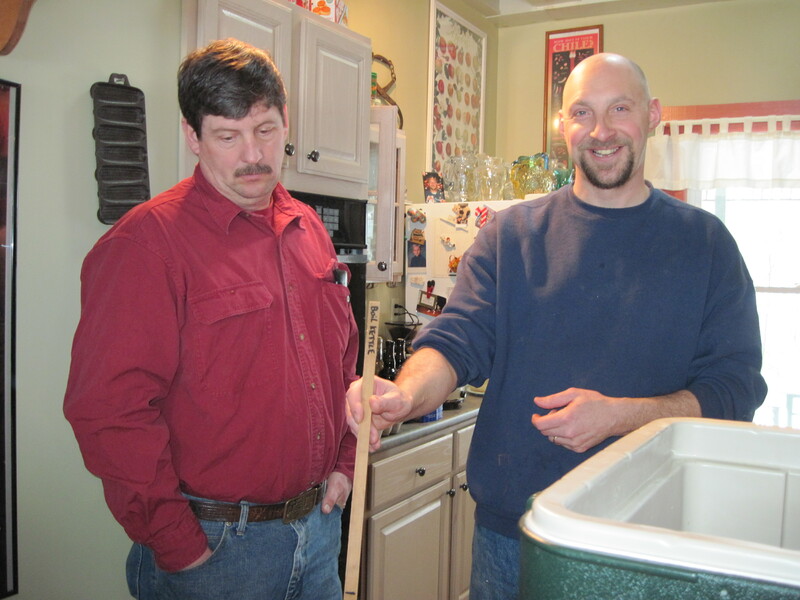 It was about three years ago that Mike became fascinated by home beer and ale brewing (and later, wine-making). “Back in Pennsylvania, an aunt of mine gave me a home brewing kit as a gift one year,” he explained, as he peered into some extract fermenting in a giant container in his kitchen. He soon discovered that even in remote Essex County and neighboring Coos County of New Hampshire, he wasn’t alone. 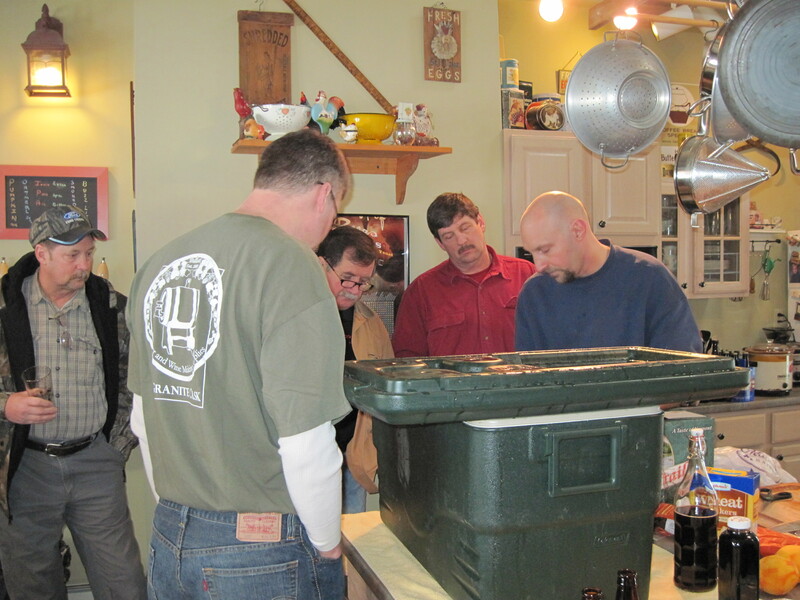 In fact, there’s a fairly active and well-organized group of home brewers in these parts. White Mountain Fermenters has a website and meets once a month, rotating those meetings between members’ homes or at the Granite Cask brewing store in Whitefield, NH. Typically, the members use their monthly meetings to observe and learn about the host brewer’s methods, sample the results, and eat a hearty potluck spread. But while there are lots of home brewers around, it soon became clear that Mike Holland stands out. Several of the Fermenters at Mike’s house that afternoon told me that Mike was something of a groundbreaker. “He’s really the only one of us who has actually moved to the next level of making his own extract for his brews,” one of the Fermenters explained. Some of the guys smiled a little sheepishly, noting that they’d love to also make their own extract, but that it was a time-consuming endeavor. A couple of them agreed with my comparison to making sourdough bread. To make a good sourdough, you need starter. Most people buy their starter commercially. But some hard-core bread makers make their own at home, by using flour, warm water, a bit of salt and waiting for the concoction to capture natural yeasts in the air. Most of the Fermenters purchase commercially prepared extract—and most of the time, they buy it from the Granite Cask, a home brewing retail outfit in nearby Whitefield, NH. John Alllin, who founded and manages Granite Cask, was there on this Sunday, in the garage overseeing fly sparging, a process that rinses the grains, extracting the remaining malt. (It involves slowly adding water above the grain bed while simultaneously draining an equal amount from the bottom). Allin once worked at the Mt Washington Hotel and Resort in Bretton Woods, in a variety of capacities, including food and beverage, before a serious work-related injury slowed him down. At that point, always intrigued by brewing and wine-making, he founded Granite Cask. And according to him and the other fellows at the Hollands on this day, Granite Cask does surprisingly well as a business endeavor; it provides Allin with a decent living and is a crucial resource for the North Country brewing community. Mike and others clearly consider Allin to be the “grandfather” of brewing in these parts and a mentor to all of them. While none of the home brewers at the Hollands that day have ventured into commercial sales, almost all of them have entered their brews into local and national competitions. One must qualify for the nationals, and that can be done locally by entering into the competitions at the Lancaster Fair and Littleton NH Home Brew Competitions. Mike himself has racked up local, regional and national awards for his Doppelbok, Scottish 90 Schilling and Oatmeal Stout, among others. 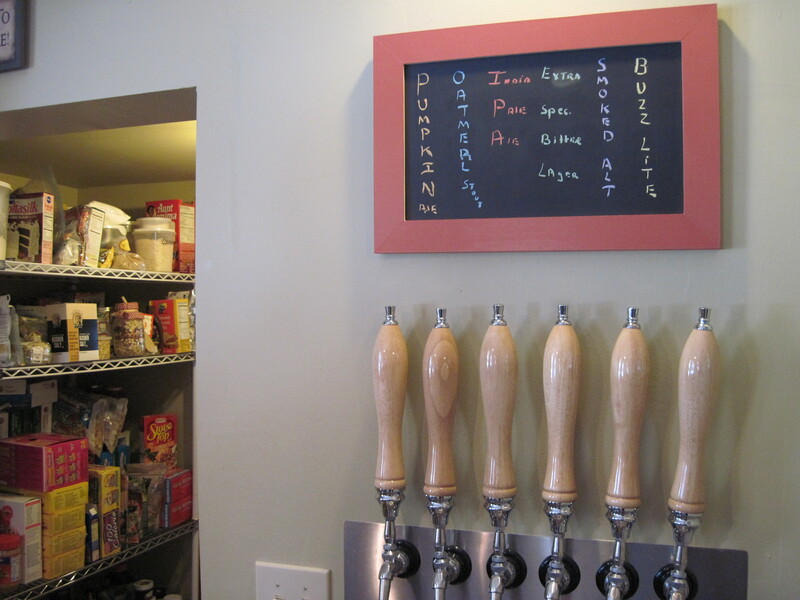 The February meeting of the Fermenters was—in part– planned to celebrate and show off Mike’s new tap system: six beer and ale taps mounted handsomely on the kitchen wall, labeled carefully with the name of each brew. (I was particularly enamored of the Pumpkin Spice Ale.) And in one corner of the kitchen, Mike proudly pulled aside a towel to reveal yet another of his latest pending brews: a gorgeous-looking Belgian Wit with chamomile, coriander and fresh orange peel. 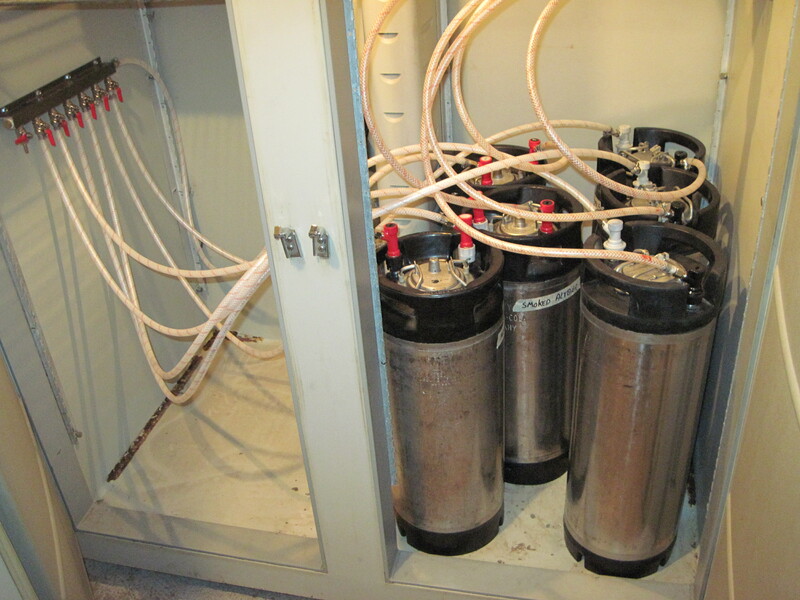 Later, I took my camera down to inspect the inner workings of the tap system; Mike had run an elaborate set of tubes down to a large refrigerator in the basement, which contained the vats of the various brews. As for Mike and Lj’s goals? 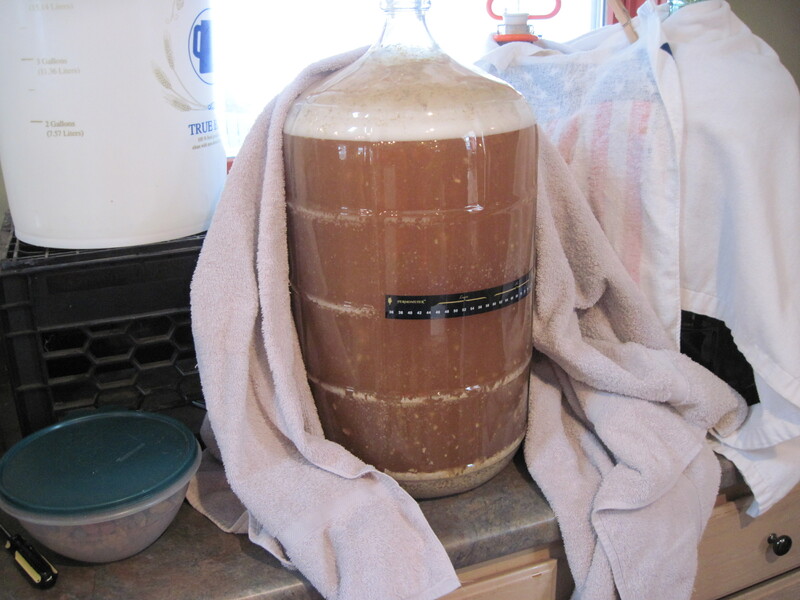 For now, it’s just informal, entirely non-commercial home brewing, for family and friends. But they’re slowing building toward the day when they’ll operate their beautiful 19th century farmhouse as a bed and breakfast with fresh home-grown produce, grass-fed meat, homemade wine, and a small, distinctive home brewery. here is apparently a lot to realize about this. I think you made some good points in features also.